The 300-billion-won ($263 million) equity investment in a South Korean cosmetics firm by a consortium of Bain Capital and Goldman Sachs in 2016 was the most profitable acquisition deal ever for South Korea’s private equity sector, returning more than six times invested capital, an analysis of the Korea Economic Daily shows. The two US companies had pocketed proceeds of 1.88 trillion won ($1.6 billion) from the exit of Carver Korea, known for its brand name AHC, in just one year. Unilever, a global consumer goods company, bought shares in the South Korean cosmetics company from the Bain-Goldman consortium and other shareholders for around 3 trillion won in 2017. The proceeds, including refinancing gain and dividend income, translate into 6.2 times invested capital. The multiple on invested capital (MOIC) marked the highest rate seen for private equity transactions in South Korea. The Carver Korea deal was Bain Capital’s first private equity investment in South Korea and involved a borrowing of 130 billion won. 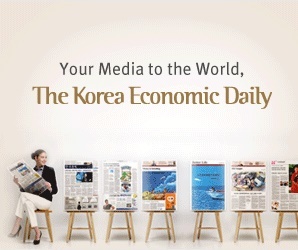 The Korea Economic Daily reviewed 42 South Korean PE transactions announced since 2009 and valued at 100 billion won or above, of which eight investments were exited. Private equity investments in the country began to bulk up in 2009. Among the eight exit deals, a consortium of Affinity Equity Partners and KKR & Co. reported the biggest proceeds in South Korea’s private equity history. Their 1.1-trillion-won acquisition of Oriental Brewery in 2009 generated 4.9 trillion won in proceeds, including refinancing gains, in five years. They sold the South Korean brewer to Anheuser-Busch InBev, the world’s largest brewer, in 2014. In the MOIC ranking, the deal came third with 5.3 multiple, after Affinity’s investment in 2013 in South Korean music streaming provider Kakao M, formerly known as Loen Entertainment, which returned 6.1 times invested capital. All the eight target companies saw improvement in their enterprise value (EV) after PE buyouts. Their earnings before interest, tax, depreciation and amortization (EBITDA) increased by 112.3% on average during the PE holding period. EV/EBITDA multiples were up 1.8 on average during their investment periods which averaged four to five years. The MOIC for the eight exit PE deals averaged 4. For EV/EBITDA multiples, Kakao M topped the list. Its projected EV rose to 28.6 times EBITDA when Affinity Equity sold it to South Korean chat app operator Kakao Corp in 2016. The Hong Kong-based private equity group had paid 300 billion won to take control of the company in 2013, valuing it at 13.5 times EBITDA. In 2019, South Korea’s private equity industry may see the most active exit deals in history, with more than six companies entering their fourth and fifth year of PE investment. KKR and MBK Partners are expected to seek exits for social commerce company Tmon Inc. and retailer Home Plus respectively this year.